기사요약: 호주 시드니 도심에서 15일(현지시간) 발생한 인질극이 17시간 만에 경찰의 전격 진압 작전으로 극적 종결됐다. 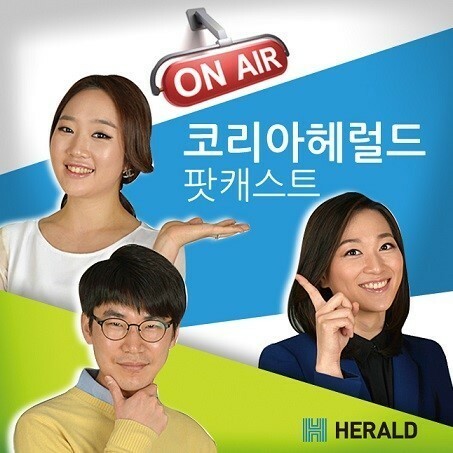 시드니 경찰은 “인질극이 범인 등 3명이 사망한 가운데 17시간 만에 종료됐다”고 16일 발표했다. 인질극을 벌인 만 하론 모니스는 이날 새벽 2시쯤 경찰의 현장 급습으로 사살됐다. 경찰의 진압과정에서 인질로 있던 여성 법정변호사 카트리나 도슨(38)과 카페 매니저 토리 존슨(34) 등 2명도 숨졌다. 범인이 이슬람 수니파 극단주의 무장단체 ‘이슬람국가’(IS)의 추종자일 가능성이 제기되고 있는 가운데 자생적 테러리스트를 뜻하는 ‘외로운 늑대’(lone wolf) 테러에 대한 우려가 고조되고 있다. Hostage drama: Jihadist propaganda win? His motives are a mystery and his acts described as random and deranged, but analysts say the gunman who took a Sydney cafe full of terrified people hostage could still score a propaganda coup for jihadists. *score a coup: 성취를 하다. 업적을 세우다. Bearing a black jihadist flag, the Iranian-born Islamist created precisely the sort of lone-wolf attack urged by groups such as the Islamic State -- replete with bomb threats, hostages and panic in a major Western city. Although any link to a specific group has yet to be established, the explosions and flashes of the dramatic police storming of the cafe that left two hostages and the hostage-taker dead, drove home the increasing reality of the “lone wolf” threat. *drive home: ~을 납득하게 하다. 이해시키다. 기사요약: 경기 수원 팔달산 토막살인 사건의 유력한 용의자가 지난 11일 검거됐다. 용의자 박 씨는 50대 중반의 중국동포로, 피해자 여성 역시 40대 후반의 중국동포로 알려졌다. 앞서 지난 4일 팔달산에서 상반신 토막시신이 발견됐고, 일주일 후 인체의 살점이 든 검정색 비닐봉지 4개가 추가로 발견됐다. 이번 사건은 지난 2012년에 발생한 오원춘 사건과 비슷해 더욱 충격을 주고 있다. A 56-year-old Chinese man of Korean ethnicity was put under emergency arrest on charges of murdering a woman and brutally damaging her body before abandoning it, police said Friday. The suspect, only identified by his surname Park, is accused of killing his 48-year-old Korean-Chinese girlfriend, surnamed Kim, and chopping her body into pieces, said the Gyeonggi Provincial Police Agency investigating the case. *be accused of: ~로 비난 받다. 고발되다. 혐의를 받다. The agency said it plans to seek a warrant for Park, who refuses to comply with the investigation, within the day for further questioning. 기사요약: 일본 아베 신조 총리가 지난 14일 치른 중의원(하원) 선거에서 압승을 거뒀다. 중의원 전체 의석인 475석 가운데 자민당은 모두 291석을 얻었다.자민당과 연립정권을 구성하는 공명당은 31석에서 35석으로 세를 불리면서 연립여당은 전체 의석의 3분의 2가 넘는 326석을 확보했다. 아베 총리의 장기 집권이 확실시 되면서 향후 한일 관계에 미칠 파장에 관심이 쏠리고 있다. Shinzo Abe is forecast to push ahead with a constitutional amendment for greater military freedom and revisionist foreign and security policies, darkening prospects for a thaw with Seoul. *push ahead with: ~을 밀고 나가다. 추진하다. In a snap election Sunday, his Liberal Democratic Party secured a solid majority, with at least 290 seats in the Diet’s lower house. Another 35 went to the conservative party‘s coalition partner, the New Komeito Party, giving them more than two-thirds of the 475-seat chamber. The bigger-than-expected sweep will give Abe four more years in power and the coalition to override any challenges in the upper house.